Personal Record, despite the celebratory highs or emotional depths implied by the title, is an album of mostly straightforward guitar pop. 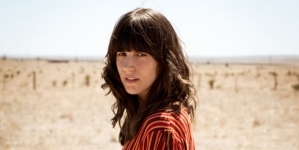 For those expecting just that from ex-Fiery Furnaces member Eleanor Friedberger’s second record, it’s worth making immediate note that nothing on it quite reaches the effervescence of “My Mistakes,” 2011 debut Last Summer’s gangly jangle-pop launchpad. (By contrast, its opener “I Don’t Want to Bother You” is practically a slog – capering keys swaggering above a rhythm section that bounces timidly, paralleling the noncommittal title.) That’s not for lack of effort; “When I Knew” is about as close as Personal Record comes to the high spirit of “My Mistakes,” “They say we both like weird music/ And she played me Soft Machine,” Friedberger sighs plainspokenly against plush instrumentation, exercising a coy reticence like Destroyer’s Dan Bejar in giving the song’s narrative its closure: “I know I couldn’t get her out of my head/ And then we ended up in–.” Directly following, the track returns twice as fierce, with snaps and brutish guitar work. “She’s a Mirror” summons up the necessary energy to qualify as well, a sprint of a track whose percussion and guitar punch as one, poking massive holes in the mix through which Friedberger’s repeated lyric swirlingly drains. And “Stare at the Sun” builds steadily until so much has been packed into it, Friedberger’s wry vocal and frenetic guitar, that it bursts its seams. 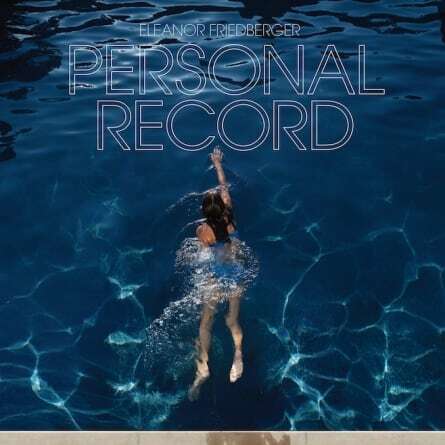 Along those same jagged, ragged lines, “Tomorrow Tomorrow” places Friedberger’s apparent garage rock chops on display, in addition to serving as a reminder of the breathless experimentation in the Fiery Furnaces discography. In contrast, much of the rest of Personal Record verges on the singer-songwriterly, or even the unremarkably workaday – skillfully crafted, just not highly inspired. A lot of the album, befitting its name, crawls uncomfortably through memories and quirky stories, slowly unfolding like “Other Boys” and the Americana-tinged “I’ll Never Be Happy Again,” a hazy, explorative tune that captures some of the bottled lightning that makes Wye Oak and Neko Case so electrifying. That this is as familiar a record as stated is obvious from the various I’s, me’s and you’s dotting the titles and lyrics of the record all the way to the expressive woodwinds on “I Am the Past” and lines such as “Love is an exquisite kind of pain” (from “I Don’t Want to Bother You”). The fragility of record closer “Singing Time” is a thing and a force unto itself. 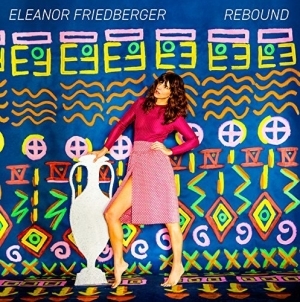 Friedberger’s soft cadence feels so delicate it could fall of the furry fingered coloratura beneath it, at least up until the point that the track blossoms into a rolling, ‘70s-style stunner in its final minute. Nearly as gently, “Echo or Encore” bounces between forays into crystalline folk, all Friedberger and piano, mostly, and emphasis on the song’s bossa nova bones – that immediately distinct combination of stuttering percussion, acoustic color, sway and plodding bass notes – comes into its fullest state right before the song ends. Placed alongside the more adventurous outings of Last Summer, such as “Inn of the Seventh Ray,” this isn’t a major departure. 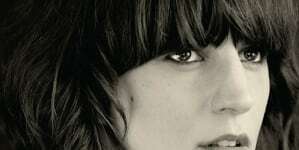 As a signpost along the way, from Fiery Furnaces’ ruins through the reminiscences of debut Last Summer, Personal Record seems to be the second record of a thriving musician just beginning to find her footing. There are more than enough reasons on Personal Record to believe this is the case. Let alone “When I Knew” or the radical notions pushing “Stare at the Sun” to its end, Personal Record holds its share of surprises. The latecoming “You’ll Never Know Me” periodically explodes into a lush jam, textures and percussion overwhelming almost everything in the mix beside Friedberger and the occasional wailing guitar chords. By virtue of its comparative uniqueness, it is one of Personal Record’s standouts. Which is, and isn’t, saying much. Friedberger endows Rebound with self-awareness and emotional strength.